This course provides information related to various options for AT assessments. Please click the links below for more information. 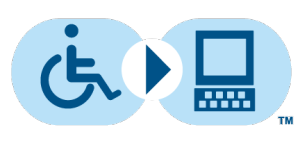 Assessing Student’s Needs for Assistive Technology (ASNAT)This is a free resource is available through Wisconsin Assistive Technology Initiative (WATI). The assessment is very thorough with key areas to consider for assistive technology. SETT FrameworkThe SETT Framework is a four part model intended to promote collaborative decision-making in all phases of assistive technology service design and delivery from consideration through implementation and evaluation of effectiveness. SETT is an acronym for Student, Environments, Tasks, and Tools. Protocol for Accommodations in ReadingThis free diagnostic tool can help determine if a student struggling with reading may benefit from having text read aloud or use an electronic text reader. TAM PublicationsThe Technology and Media Division (TAM) of the Council for Exceptional Children offers various products that can be purchased to assist in AT decision making including Assistive Technology Fans and Quick Wheel. ATEval2Go incorporates frequently-used assistive technology evaluation tools such as Joy Zabala’s SETT Framework, the Wisconsin Assistive Technology Initiative Assessment, the Council for Exceptional Children’s Assistive Technology Consideration Wheel, the Virginia Assistive Technology Resource Guide, as well as author Christopher Bugaj’s over 12 years of experience conducting evaluations.